Serving chewy beef balls since 1920! This review on a famous eatery serving local grilled meatballs shall be the last one for this extremely hectic month. Established in 1920, the eatery somehow escaped my attention when I was doing a research prior to flying to Istanbul, Turkey. I discovered it from a travel guide while waiting for my friend to buy souvenirs at one of the gift shops around. 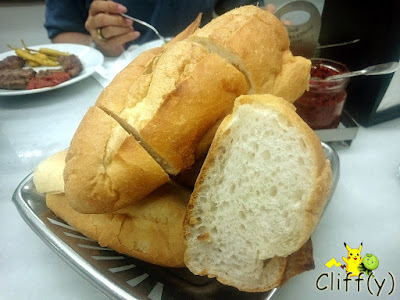 The outer layer of the bread was a bit too hard for my liking, but the centre was soft and airy. Every table in sight had at least a plate of bean salad, so my BFF and I ordered one each for appetiser. 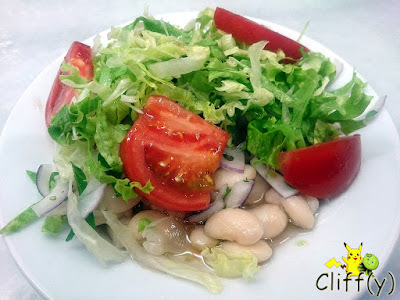 The boiled beans were earthy, accompanied by fresh lettuce, onions and tomatoes. Quite a generous amount of lemon juice was drizzled over the salad, which made it refreshingly tangy. The star of the eatery, i.e. the grilled beef balls that weren't round, were seasoned minimally with salt. 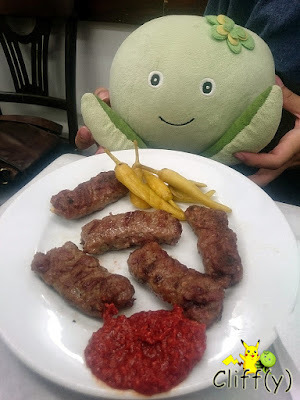 I relished the chewy texture and the robust flavour of the red meat, coupled with pickled green chilis and red chili sauce that wasn't overly spicy. Pika's advice: Not a fan of beef? Try their equally famous Kuzu Sis Kebap (lit. 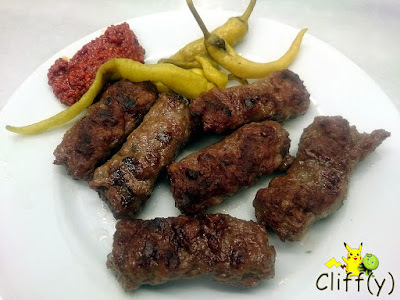 lamb skewer) priced at ₺26.00 (~S$12.45). 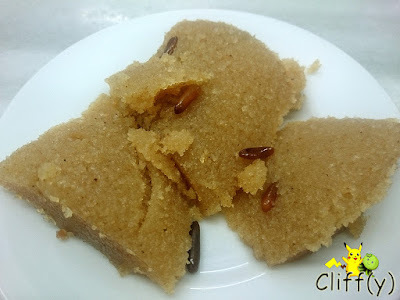 The semolina cake might not look that appetising for dessert, but it was pretty good. Even though I felt that it could have a higher moisture content, I enjoyed the mildly sweet goodness that was buttery and aromatic. I wonder what were those nut-like stuff interspersed in the cake. Any idea? 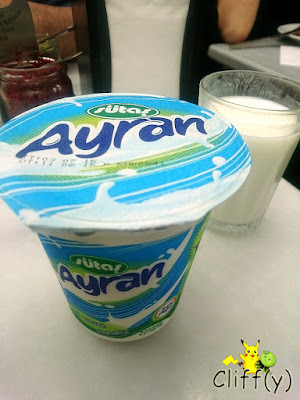 From my observation during the trip, confirmed by my sister who's currently studying in Istanbul, the locals do enjoy their buttermilk drink a lot. I can only say I don't really want to drink it the second time as it's oddly creamy and salty on my tongue. As it isn't a product of the eatery itself, as my usual practice, I'm not going to give it a score. Do expect the squeezy environment with all the crowd, but I honestly think it wasn't unbearable when I was there for lunch. 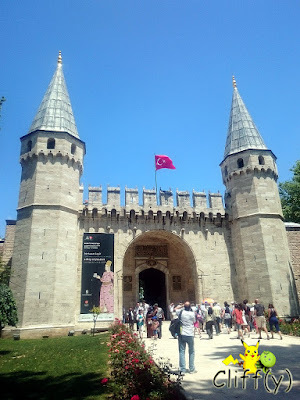 Prior to the lunch, I was having fun exploring the grounds of Topkapi Palace.